Water makes a charming feature in almost any garden. But a fine setting will bring even greater beauty. If a well-planted bog comes up to the pond edge and reflects on the surface, that scene is perfected. Wetland plants have particular beauty. 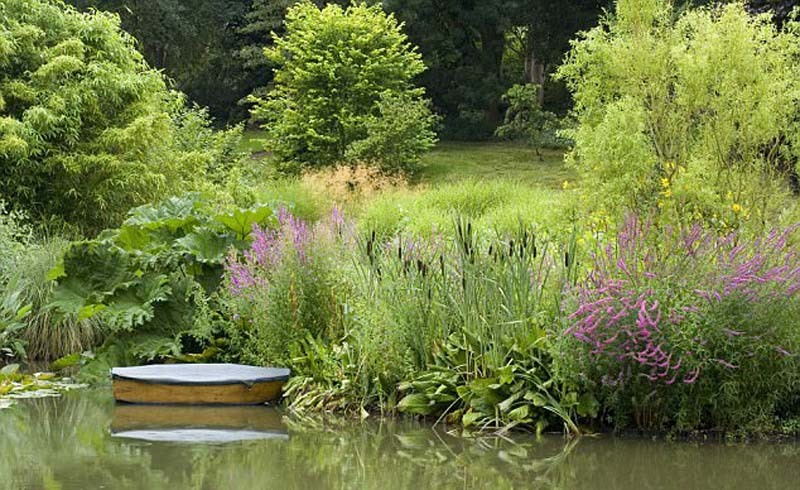 Visit Beth Chatto’s gorgeous Water­ ­Garden in Essex, or the drifts of Asiatic primulas at RHS Garden Harlow Carr in North Yorkshire, and you’ll see what I mean. And having lived by a slowflowing Fenland river, I can assure you that nature’s waterside wetlands are just as pretty. Bog gardens can be any size. You can convert low-lying or poorly drained ground into one. Or you can develop a miniwetland by slowing drainage. 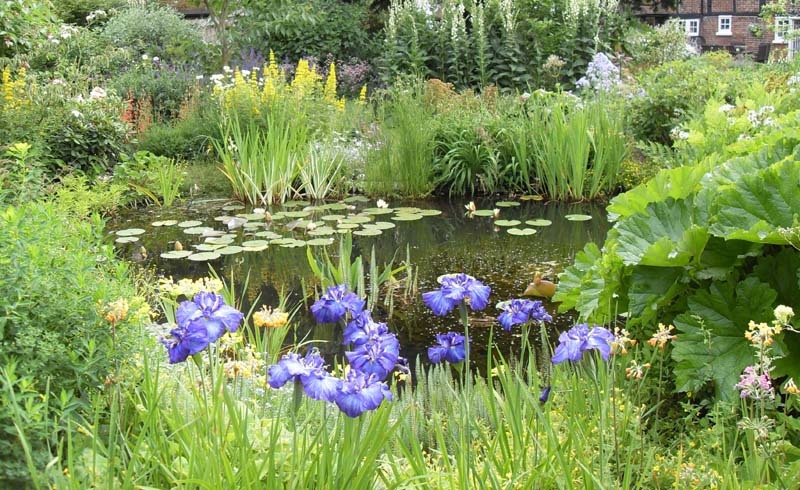 While a pond isn’t essential, water will give the design a natural look. Water also changes the light, making the feature more beautiful. Wildlife benefits from wellchosen vegetation, too. If you’ve ever seen a nymph crawl from the water, shuck its skin and become a dragonfly, you’ll know you’ve got it right. Natural bogs have a high water table or poor drainage. You can mimic that in a garden by laying a water-obstructing membrane below the topsoil. But the aim is to hamper drainage, rather than create a stagnant quagmire. Dig away topsoil from your chosen area to create a dishshaped depression as wide as you like and up to 30cm deep. Heavy black polythene is fine for the membrane. It doesn’t have to be fully waterproof, but must impede drainage. Line your shallow hole, remembering to raise the edges of the plastic all round. The membrane should be level enough to hold water back over the entire area. Back-fill, making sure the raised edges of the membrane are buried just below the soil surface. You can soak your new bog with a hose to see how damp it keeps, or wait for rain. Plant up as soon as you like. If you’ve soaked the ground, you’ll be working in mud. But the bog plants will establish speedily and look lovely within a few weeks. Most bog plants are robust, so plant sparsely. Among grassy types, Bowles’ Golden Sedge is lovely contrasted with the purple of Iris Gerald Darby. Smaller grassy plants include bog cotton, Eriophorum, which is happy in or out of water, and Japanese rush, Acorus gramineus. Big plants with showy flowers include Ligularia dentata Desdemona, whose orange daisies appear above big, rounded leaves, and amberflushed Euphorbia griffithii Fireglow. Try contrasting those with red Lobelia cardinalis. In small spaces, avoid rampaging plants. Bulrushes, native yellow flag irises and tall sedges are handsome, but horribly invasive. Rodgersia and Darmera are fabulous, too, but only for large-scale planting. For smaller-scale bogs, there are lovely native flowers. Lilacmauve cuckoo flower, ragged robin, water forget-me-not and king cups all make great bog plants. They’re easy to control. You can also plant wetland orchids. In a damp zone in my garden, I grow drifts of Dactylorhiza x grandis — a natural cross between two wild British orchids. The 40cm tall purple spires are positively inspiring.